There is so much good food in this world, you cannot know everything. Today, for example, I learned something new. It is dry salted small chicken peas. 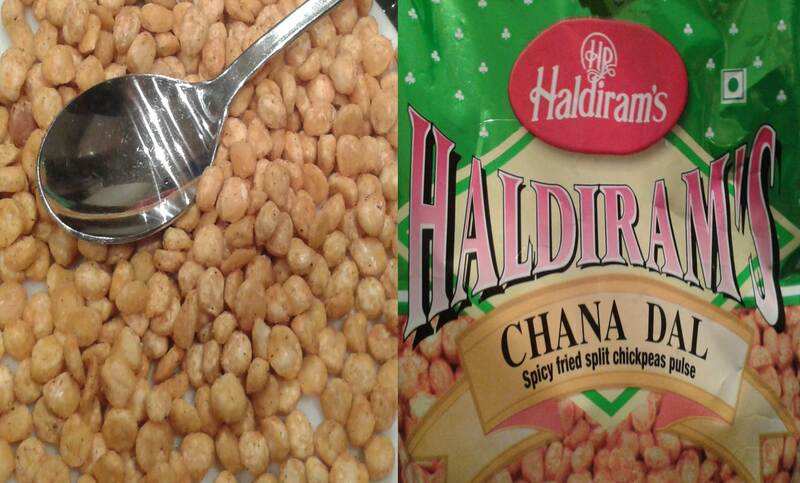 On the pictures you see (right) the packaging of the brand, and (left) the chicken peas next to a tea spoon. An Indian friend of my mother introduced her this snack last week. My mother has diabetes and this snack is supposedly suitable for people with diabetes. Plus, it is supposed to better your condition. If you have diabetes of course consult your doctor before consuming it.